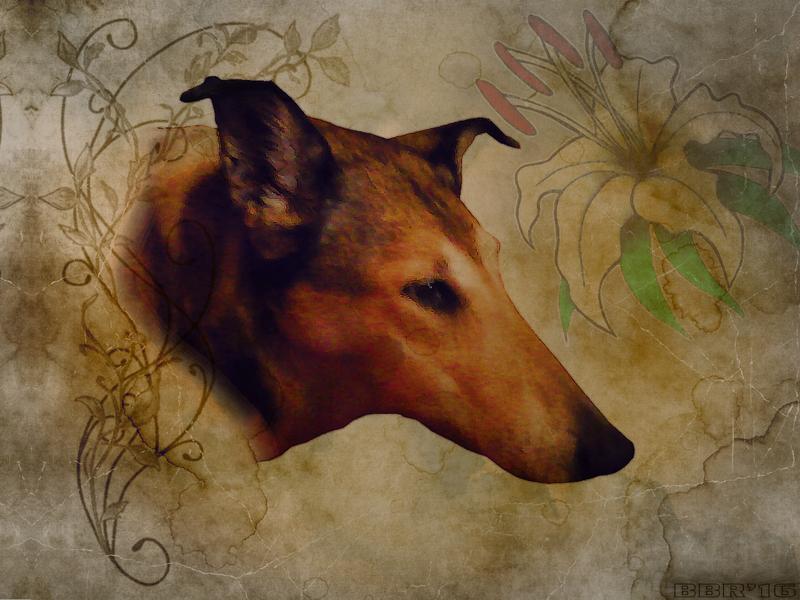 Portrait of my friend's other collie, Rosa's mother. Linette lived to be 13 years old, before she passed on. A digital photo, given a new background and modified in Paint Shop Pro 9.